Today is release day! Yay!! "The Girl Most Likely" is now available from The Wild Rose Press. I'll be celebrating over at the Words of Wisdom from the Scarf Princess blog. Since TGML is about an older heroine/younger hero, I'll be exploring the pitfalls and myths about such a relationship. Comment for your chance win a $20 gift certificate from The Wild Rose Press plus a $20 gift certificate from Amazon. Don't forget to leave your email address! Next Stop on my Virtual Book Tour! 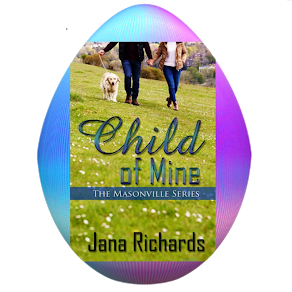 Today, November 29, I'm over at Carrie Ann Ryan's blog talking about "The Girl Most Likely". I hope you can drop by and say hello. Remember, if you comment on this, or any of my other Goddess Fish Virtual Book tour posts, you'll be entered to win the grand prize of a $20 gift certificate from The Wild Rose Press and a $20 gift certificate from Amazon. Make sure you leave an email address! 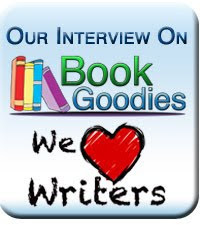 The Roses of Prose - I'm being interviewed! My Goddess Fish Virtual Book Tour also starts today. Every weekday for ten days, from November 28 to December 9, I'll be at another stop on the tour. 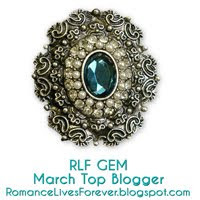 The first stop today is at the Romance to Make Your Heart Race Blog. Anyone who comments on this blog post or on any of the other 9 stops on my GF tour will be entered to win the Grand Prize of a $20 gift certificate from The Wild Rose Press and a $20 gift certificate from Amazon. I couldn't be prouder! It is my pleasure to announce the release of my writing group's first anthology. The Saskatchewan Romance Writers has put together 20 short stories by 17 members, and if I do say so myself, we rock! that won’t take you on a straightforward journey. 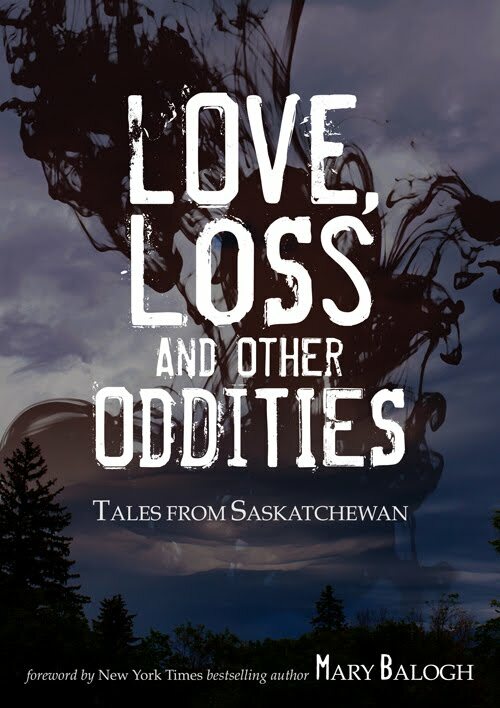 to present this collection of outstanding short stories. Come take a trip through the extraordinary prairie! to settle more than her late father’s estate. between dying to be with him and living without him. Last week I talked about the Writers’ Digest webinar I attended called “How to Make your Romance Hot Enough for an Agent”. The webinar was hosted by agent Sara Megibow of the Nelson Literary Agency (http://www.nelsonagency.com/) After her presentation, Sara generously invited attendees to send her the first five pages of a work in progress for evaluation. There was the possibility that if she liked what she read in the first five pages, she might ask for the full manuscript. When the ad for this webinar popped into my inbox, I was intrigued by Sara’s offer to look at the first five pages of a WIP. I’ve only made one submission to an agent (which went nowhere). That was several years ago and I know my writing’s improved since then. Do I have what it takes to interest an agent? I sent her the first five pages of “Welcome to Paradise”, an 85,000 word romance I’ve been working on for at least two years. Actually, that’s not true. I really haven’t worked on it since 2009 because I got involved with other writing projects. That was another reason I thought I’d take this class; it might inspire me to complete this manuscript. It’s close to being done, but definitely not ready to send out into the world. It was official. She’d just hit rock bottom. 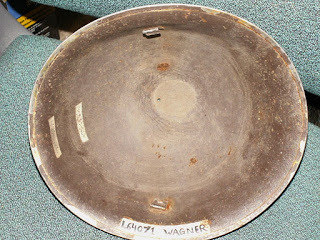 Bridget Grant sighed as she wiped the sticky remains of spilled beer and nacho cheese sauce from one of the tables. Is this what her life had come down to? Serving wench in her mother’s bar? As she lifted her head, she caught several patrons staring at her. They quickly turned away when she stared back with all the haughty pride she could muster. Less then a day in Paradise and she was already the talk of the town. She felt naked in the small town fishbowl that was her hometown. Paradise, North Dakota. Never had a town been so erroneously named. With a population of less than a thousand, counting dogs and gophers, Paradise had little to offer. She’d known twenty years ago she didn’t belong here, but here she was, back where she started. Everything she’d worked for, all her dreams for herself and her family were gone. Anger and despair pressed on her heart as she swiped blindly at the dirty table. Bridget took a calming breath as she straightened her shoulders and gave herself a mental shake. It didn’t matter what she did for a living or what anyone thought of her. As long as her daughter stayed out of trouble she’d gladly sling beer and wipe sticky tables. “Thank you for participating in the webinar and thanks sincerely for sending in these sample pages. Your heroine is super charming and the story is right up my alley. Unfortunately, if this came through the slush pile I would pass on asking for a full but it's a close call. I have some notes here so hopefully this will help you find just the right publishing partner. Like I said, you have a charming story and a strong, wonderful, engaging heroine - great work! For me, there were some moments in the mechanics of your writing that I felt could be stronger. You open with tons of character and personality - my suggestion is to trim the backstory and telling. There is just a hint too much of it. Your instincts are correct - get the story moving and show Bridget's cute personality. Here's an example, "Paradise, North Dakota. Never had a town been so erroneously named. With a population of less than a thousand, counting dogs and gophers, Paradise had little to offer. She’d known twenty years ago she didn’t belong here, but here she was, back where she started. Everything she’d worked for, all her dreams for herself and her family were gone. Anger and despair pressed on her heart as she swiped blindly at the dirty table." Darn. I don’t always recognize the difference between internal monologue and telling. I’m hoping to take Sara’s advice and move this story from “almost there” to “you made it, baby!” Keep your fingers crossed for me. Do you have an Achilles heel in your writing, some area that needs improvement that you struggle with? What does an agent want? Isn’t that the million dollar question? For a writer who wants to go the traditional publishing route, agents are key. Many publishing houses only accept agented submissions. So writers must entice an agent with their work and hope for representation. But literary agents are known to play hard to get. What exactly do agents want? Sara says that she uses these four criteria to evaluate a submission at every stage in the process, from the query letter, to the sample pages, to the the full manuscript. During the webinar she explained her checklist to let us know exactly what she’s looking for. - Completed manuscript – the manuscript is not only done, it is the best product you can produce. It is critiqued, edited, polished and 100% ready to go. - Strong Mechanics – Can you write well? The manuscript is well-written from a technical perspective. The writer has a handle on the “tools” of writing, such as dialogue, flashbacks, backstory, sexual tension, character development and motivation, and each of these tools is in balance. There’s not too much or too little of any one of the tools. She says that one of the main reasons for passing on a submission is too much backstory in the opening pages. - Authentic characterization – Sara gave the example of a character who is a librarian and sees a man getting shot when she looks out the window of the library. She immediately goes to investigate. What? No, your average person would call 911. A character who investigates does not feel authentic. Characters should be authentic, engaging, intelligent, and their actions should seem organic to who they are. In other words, if X does something and Y does something else, X’s reaction should be realistic. - Engaging plot – She wants something unique, something she hasn’t seen before. It should have a twist that hasn’t been done to death but should still be realistic. The story must be interesting and engaging. If a writer has been getting the feedback from readers/critiquers/editors that they’re not falling in love with the story, that might be a clue that the plot is not engaging enough. As an example of an engaging plot, Sara Megibow cites “Private Arrangements” by Sherry Thomas. - Interesting world – This is important for paranormal/fantasy/sci-fi novels where world building is the most important element. She doesn’t want stuff she’s seen before, such as a vegetarian vampire who likes humans and doesn’t kill them or a dystopian novel in which food is central to the plot. - Unique narrative voice – Your submission stands out in the slush pile as different without being silly. It is unique, intelligent and well put together and your query is professional. - Brilliant pitch – This is one of the most important parts of your submission whether you are going the traditional publishing route, small/epublishing or self-publishing. This is one or two sentences that immediately engages the reader and describes the plot of your book. Sara gives this example of from “The Fallen Queen”, a fantasy with romantic elements, by one of her clients, Jane Kindred: The heiress to the throne of Heaven is deposed in a celestial coup and is whisked away to Earth and hidden in Russia by two nefarious demons. The pitch should read like a back cover blurb or a movie tagline. - Strong hook – The hook and the pitch work together. Can the reader easily understand the characters, the world, the story they can expect just from reading the pitch? Sara says that the lack of superior writing is a deal breaker for her; she likely would not offer representation if she felt the writing wasn’t there. - The writer must understand the market and the difference between different genres and subgenres. Most people understand the difference between contemporary and historical, but what about dystopian and urban fantasy? Middle grade and YA? What’s appropriate content for each? What’s appropriate word count? Sara says that if you can nail the subgenre in your query, such as “a 65,000 word YA historical with romantic elements” you’ve made a good pitch and got her attention. If your concept isn’t completely unique (such as another vampire novel), it isn’t a deal breaker for her as long as the book is well written. - She often uses a writer’s platform to help evaluate a submission. The lack of a platform is not a deal breaker if the writer’s submission is great, but it is important in going from writer to published author. A writer who understands this is a step ahead. - Professional website – may contain a head shot, short bio, what I’m writing, industry blogs I like, books read recently, etc. - Member of Romance Writers of America – Sara highly recommends membership in RWA. It is a fantastic organization to help the writer understand the publishing industry. Sara says the most important thing for the writer to focus on is writing. However, she is impressed by a writer who has done some self-marketing. 4. Professionalism – Sara is interested in working with writers who want a partner in publishing. She expects a professional query letter, professional responses, and professionalism when attending conferences. Lack of professionalism is a definite deal breaker. Even if the writing is good, she likely wouldn’t offer representation to someone who shows from the outset that they would be difficult and unprofessional to work with. At the end of her webinar, Sara invited attendees to send her the first five pages of a work in progress for evaluation and possible request of a full manuscript. Next week, I’ll let you know how that turned out for me. When I opened my email last night I got a surprise. My niece and my nephew's girfriend have been doing some searching into my father's World War Two history and found this link. My Dad served in the Canadian Army in the Regina Rifles, nicknamed "the Farmer Johns" because of all the farm boys in the regiment, and supposedly the number of them named John, like my Dad. He landed at Juno beach on D-Day with the rest of the Canadians, was captured June 9, 1944 and remained a prisoner of war until April 1945. It's pretty rusty and beat-up, but it does have a patch with a number that identifies the original owner. Who happened to be my Dad. From my Dad's war records, I confirmed the number on the helmet was his. 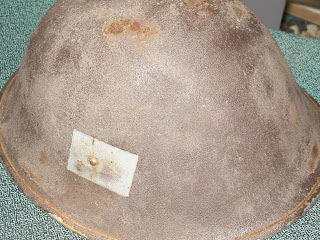 I have no idea how this helmet ended up in farm in Alberta. The previous owner said he didn't know my father. Since Dad was a POW, he came back to Canada with little of his military stuff. I never heard him mention a uniform or piece of equipment that he brought back. I certainly never saw one. Dad's been gone since 2001. Finding this link to him a day before Remembrance Day is like getting a message from him. Maybe he wants us to tell his story. Or maybe he just wants us to remember.